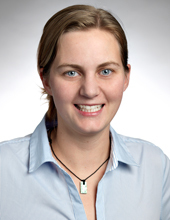 Hana Dobsicek Trefna is assistant professor in the Biomedical electromagnetics research group and an expert in systems and focusing algorithms for microwave hyperthermia treatment of deep seated tumors. Her work aims at clinical introduction of hyperthermia in Sweden, developing an UWB hyperthermia system for treatment of Head and Neck tumors and exploring the possibility of hyperthermia treatment of brain tumors in children. Progress in Electromagnetics Research Symposium, PIERS 2015,Prague. How can we assure treatment quality and what is a good hyperthermia treatment? Kliniskt hypertermisystem för bättre cancerbehandling i hals och huvud. There might be more projects where Hana Dobsicek Trefna participates, but you have to be logged in as a Chalmers employee to see them.